Planning for a dinner/cocktail party I’m going to tonight. The last time I went to one of these, I left a cruet of simple syrup at the host’s house. She filled it up with basil simple syrup and challenged me to make a drink with it. 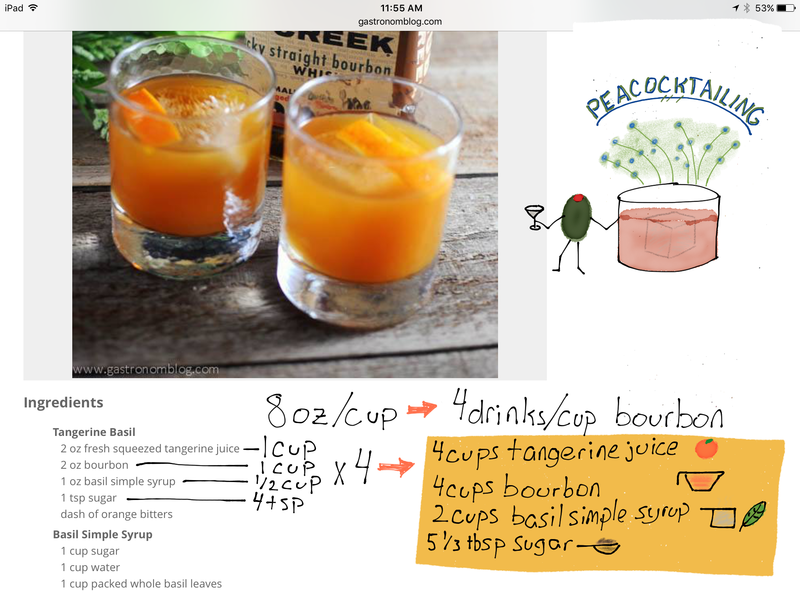 I found Tangerine Basil Cocktail at Gastronomblog which looks terrific.